Welcome to the Alzheimer's Disease Research Center at the University of Washington! The UW ADRC, and our colleagues at Partnerships for Native Health at Washington State University, are invested in an effort to reach out to American Indian, Alaska Native, and other Indigenous communities in the Pacific Northwest, in order to provide resources to people struggling with memory loss and educational materials to local clinic staff. We hope to improve the wellbeing of people living with Alzheimer's disease and other forms of dementia, and caregivers, as well as create opportunities for you to participate in a research study. This website includes calendar of Indigenous Aging educational talks and outreach events hosted by the ADRC and Partnerships for Native Health. Visit often for news and changing content. We invite you to watch this short educational film about living with dementia and Alzheimer’s disease, produced by Sky Bear Media, a local Native-owned film company. 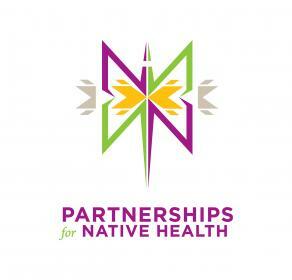 The film is a collaboration between the ADRC and the Partnerships for Native Health. What are Dementia and Alzheimer’s Disease? “Dementia” refers to memory and thinking problems, including memory loss and difficulties making decisions and speaking. It can interfere with someone’s ability to live independently. A key point is that dementia is not a normal part of aging. Dementia is most common in older adults and has many causes. Alzheimer’s disease is the most common cause of dementia. About 5 million Americans have Alzheimer’s disease, and by 2,050 experts believe this number will almost triple to 14 million. Doctors and scientists do not know why people develop dementia and Alzheimer’s disease. Risk factors include getting older, having heart disease, and diabetes. There are certain lifestyle factors that can reduce your risk of developing Alzheimer’s disease such as daily exercise, eating traditional foods, sleeping well, and staying socially engaged. However, these risk and protective factors probably don’t act the same way in different racial and ethnic communities. Therefore, it is very important to understand the risk and protective factors for dementia and Alzheimer’s and dementia in your community. Mild Cognitive Impairment (MCI) is an early stage of thinking and memory problems. During this phase, individuals or their family members may notice subtle changes in daily living, but people with MCI are typically able to work and live independently. This phase is when we encourage people to talk about memory loss with their doctor and develop a plan. The American Indian and Alaska Native population is increasing 3 times faster than the United States population. More importantly, the number of American Indians and Alaska Natives 65 years of age and older is growing – and growing fast. 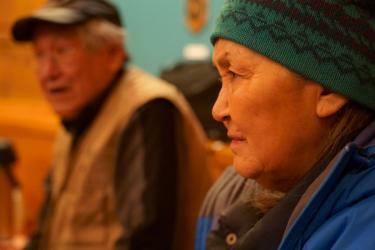 By 2050, the number will triple over one million Native elders. Many experts believe that dementia and Alzheimer’s disease is underdiagnosed in Native communities, so we have very little information about how common these dementia and Alzheimer’s disease are among American Indians and Alaska Native people.